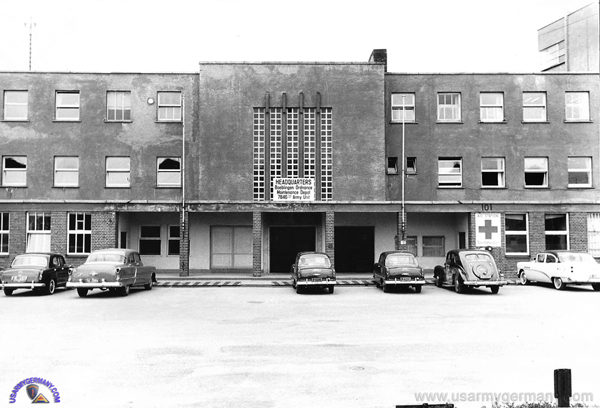 In May 1954, HQ USAREUR announced that the nine-year vehicle rebuild program would be reduced by the end of 1955 from the original 14 rebuild installations to four. The Boeblingen Ordnance Maintenance Plant would be one of the four remaining rebuild depots. 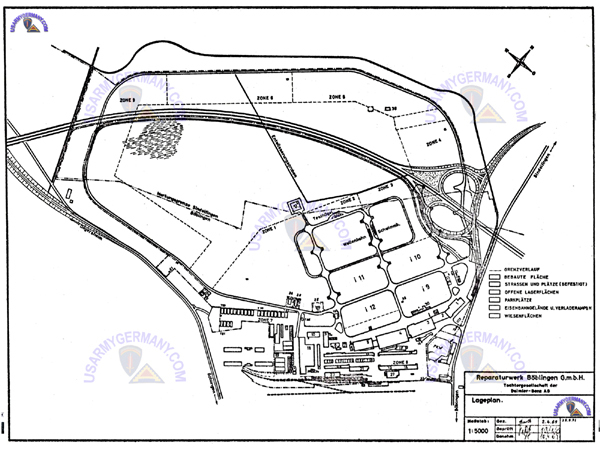 Boeblingen, together with the Mainz Ordnance Depot, would become the center of future rebuild activity for USAREUR, USAFE and USFA. The Boeblingen Ord Maint Plant sits on a former German airfield. The airfield has been converted to a depot facility - with more than 1,000,000 square feet of shop space and 600,000 square feet of storage space - that rebuilds nearly 200 vehicle a month and returns them to the Army's supply system ready for use again. The former hangars of the German airfield are now used to house mass-production lines for overall general purpose vehicle repair and general face lifiting. Work includes cleaning and disassembly, frame, body, cab repair, engine and power train reconditioning, assembly of motor vehicles and trailers, painting, spring and radiator repair, sandblasting, and carpenter work. The mission of the plant is to provide maintenance of transport vehicles; handling of returned material; maintenance of vehicles in storage; manufacture of parts; modifications on vehicles as required; and receipt, storage and issue of unserviceable or excess stock. CO of the plant is Col Nathanial W. Koeneman. His staff includes six officers, six enlisted men and eight Department of the Army civilians; in addition, close to 1,000 German civilians work at the depot. At present, the depot turns out an average of 12 2½ -ton trucks, 25 ¾-ton trucks, 40 jeeps, 30 semitrailers, 60 trailers and 10 sedans every month. An article found in the Aug 12, 1954 issue of the STRIPES indicates that the storage space at Boeblingen was nearly 6,000,000 square feet - not 600,000 as mentioned in an earlier article. The installation itself covers an area of 242 acres. 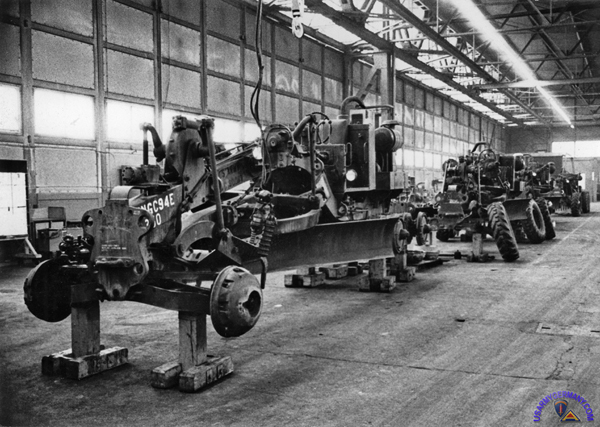 Rebuild operations at the Boeblingen plant began in April 1947. Before that, the facility (airfield) served as a collecting point and vehicle park. In October 1953, the installation came under the 53rd Ord Gp. If you have more information on the history or organization of the Boeblingen Maintenance Facility, please contact me . From 1978 to 1985 my office was in the former Flughafenhotel and I was in charge of the R&U-shop; therefore I knew the whereabouts and their history pretty well. As military airport, it began around 1915, after WWI it became a school for pilots and around 1922 this was THE Stuttgart airport (no one talked about Echterdingen then) and after 1928 also the Klemm Flugzeugwerke (Klemm was a famous designer of small light planes), during WWII it was also used as airfield (I remember my father telling me, he had landed there a couple of times with his JU-52 transport plane) and received quite some bombing, the most in 1944. 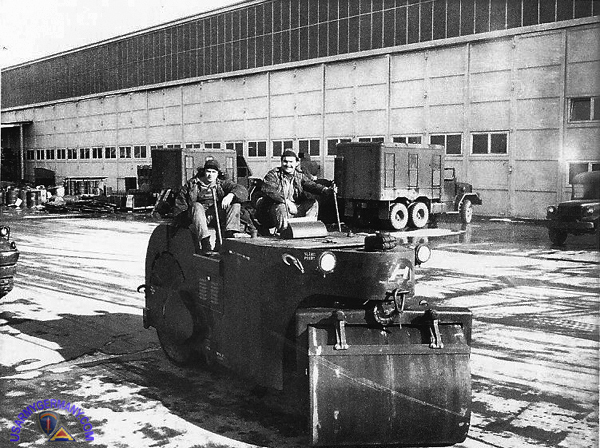 Some time after WWII BMF became a “government owned civilian operated” rebuild plant for tracked and wheeled vehicles. Unserviceable vehicles were taken apart (literally “down to the last bolt”), paint and rust removed in a sandblast station (which used steel grit instead of sand, so it could be separated by a magnet and reused), further cleaning was in pool-sized acid baths. Non-repairable parts were replaced, the vehicle reassembled, painted and tested – it left the plant nearly brand new. This operation was discontinued in 1975, buildings and machinery were preserved to the maximum possible, many of the 1200 workers found work “next door” at the Daimler factory. Some five years later, well preserved and unused since 1975, most machines were scrapped. 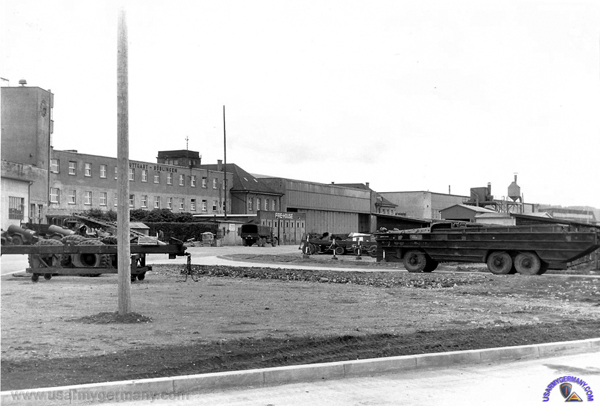 Some buildings were then used for maintenance work on vehicles from Panzer Kaserne (different US units) and also as warehouses for various spare parts by the 8906th CSG. Also a trailer transfer point with small repair shop was established by the 6966th CSG (number ??) for the transportation units. Also the 8404th CSG was located there and repaired buildings throughout GSMC. The rail head was used to transport the tanks out of Panzer Kaserne (1/4 CAV). During 1979 (??) REFORGER, BMF was tent city, tank cleaning and customs inspection for troops returning from the exercise. Also here, the weirdest stories spread among troops about underground plane hangars and elevators, which would deliver a plane ready for take-off right on the runway … many openings had been broken into basement walls to find some remnants. But the entire area had been swampy, therefore any underground construction would require constant drainage or else be flooded. Such as the basement of the “hotel” (we had supply and weapons storage there) had been flooded about 2 feet deep after a severe rain (uprising water had literally broken the concrete floor). In the late 1980s the CSG units were deactivated and the area closed, later it was used as storage area for used Mercedes trucks and since 2003 totally refurbished (including search for unexploded bombs by digging up the ground about 15 feet deep). Now only about 3 buildings were left standing (this includes the original airport reception building, a small log house), the entire area will be something like a separate part of the city of Boeblingen (see www.flugfeld.info). To learn more about the history of BMF, I recommend the book by Erwin Funk “Boeblingen – Fliegerstadt und Garnison” 1974 (but I don’t know about its availability). Best regards and appreciation for a fine website covering one part & aspect of my life. It appears that by July 1945, the US Army (probably Seventh Army service troops) had set up an Ordnance Depot and Collecting Point at the Boeblingen airfield. Collecting points were set up throughout the US Zone to receive equipment and supplies from organizations and units leaving the Theater for redeployment. Personnel at these collecting points were responsible for performing identification, classification, segregation, rehabilitation and storage maintenance on the turned-in equipment and supplies. Besides the former airfield buildings, the depot also used the former industrial plant (hangars, administrative buildings, warehouses) of the Klemm Flugzeugbau manufacturing company that was colocated on the airfield. According to information collected by the Böblinger Flughafengeschichten historians (BFH), over 4,000 combat, general and special purpose vehicles, artillery pieces, and other equipment was turned in to this collecting point. 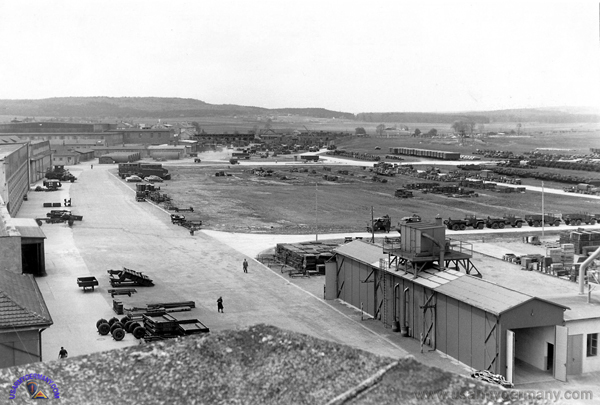 In 1947, the vehicle park was converted to an ordnance rebuild depot. The Boeblingen rebuild depot initally became responsibile for the rebuild of trailers and semi-trailers. Other types of ordnance vehicles, including combat vehicles, were added in 1954 to the depot's rebuild mission. 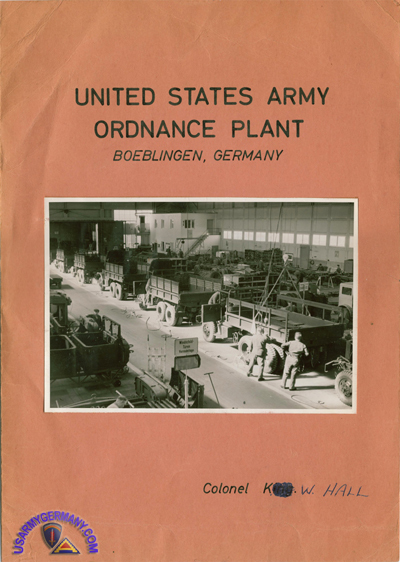 The STATION LIST for September 1 1948, shows that Detachment #4, 7845th Ordnance Maintenance Group operated the Böblingen Ord Depot, under the command of the Base Maintenance Center at Esslingen. 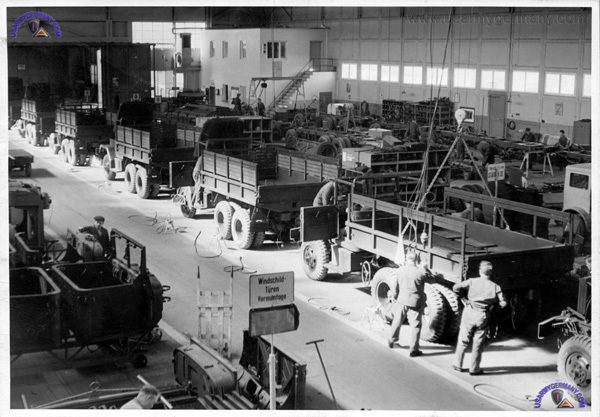 On June 1 1948, the Boeblingen Rebuild Depot was converted to a GOCO (government owned/contractor operated) facility - with Daimler-Benz in Stuttgart-Untertürkheim providing contract operations. The initail contract was for two years. 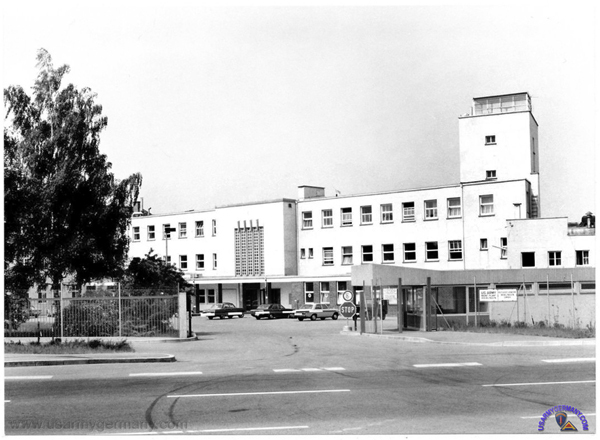 A new contract in 1950 was awarded to Kessler & Co in Wasseralfingen. On April 1 1956, Daimler-Benz again took over contract operations. 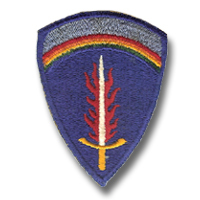 In January 1957, the facility was transferred from USAREUR to the Communications Zone and redesignated as US Army Ordnance Depot Boeblingen. The transfer was part of a major realignment of logistical functions between USAREUR and the COMZ. The Boeblingen Rebuild Plant was inactivated in October 1975. (1) Originally constructed as a fliegerhorst for the German air force in WWI, converted to a civilian airport for the Stuttgart area after that war, then remilitarized by the NAZI's in the 30s and used as a fighter base during WWII. (2) Source: TSFET Progress Report, October 1945. (3) Source: Supply: Procurement, Storage and Issue, 1947. OCCUPATION FORCES Series. (4) Some of the other rebuild plants were: Esslingen, Waiblingen, Neckarsulm, Stuttgart, Aalen, Schwäbisch Gmünd, Rüsselsheim, Bad Cannstatt, and Heilbronn. A very nice example of what "local historians" can achieve in documenting the history of local commercial or industrial plants that also have a "Cold War" history. 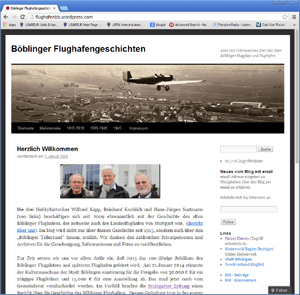 The blog in question - content is in German - is the work of three Germans in the Böblingen area who are researching the history of the Böblingen airfield (1915 to present) that also served as a US Army ordnance vehicle park, rebuild plant and maintenance facility between 1945 and 1991. Overall a quality site with some great historical photos.